Most visitors to Chocolate Avenue in Hershey, Pa., have a sweet treat on their mind. Jill Levine has thoughts of holistic health, and which particular modalities work best for each client at her wellness center. I teach my clients self-care techniques that they can use at home, she says. A native of the states Anthracite Coal Region, Jill left home to study at Chinas famous Shuguang Hospital in Shanghai. Today, she is a licensed massage therapist in Pennsylvania as well as a licensed acupuncturist in both Pennsylvania and Florida. While this health care practitioner didnt start off in bodywork, Jill began her service to others as a family counselor and clinical psychologist. After graduating from Bloomsburg State College with a bachelors degree in psychology and Towson State University with a master's degree, she transitioned into a rewarding career that spanned more than two decades, counseling individuals, families and rehabilitative patients in chronic pain. In addition to offering traditional counseling, Jill helped these patients learn various relaxation techniques. It wasn't long before Jill became entirely interested in the healing arts. 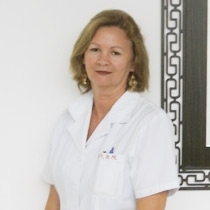 A graduate of the Acupuncture Massage College, Miami, Fla., she also received training at The Valley School of Healing Arts, Port Trevorton, Pa., and the Massage Therapy Integral Yoga Center, New Berlin, Pa.